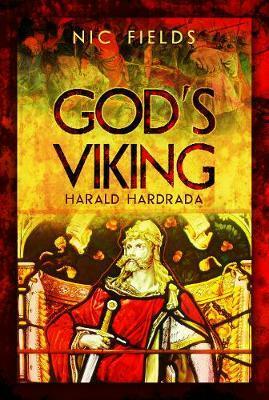 Harald Hardrada is perhaps best known as the inheritor of seven feet of English soil in that year of fateful change, 1066\. But Stamford Bridge was the terminal point of a warring career that spanned decades and continents. Thus, prior to forcibly occupying the Norwegian throne, Harald had an interesting (and lucrative) career in the Varangian Guard, and he remains unquestionably the most notable of all the Varangians who served the Byzantine emperors: in the latter employment he saw active service in the Aegean, Sicily, Italy, Anatolia, Syria, Palestine and Bulgaria, while in Constantinople he was the hired muscle behind a palace revolution. A man of war, his reign in Norway was to be taken up with a wasteful, vicious and ultimately futile conflict against Denmark, a kingdom (like England) he believed was his to rule. We follow Harald s life from Stiklestad, where aged fifteen he fought alongside his half-brother king Olaf, through his years as a mercenary in Russia and Byzantium, then back to Norway, ending with his death in battle in England. Nic Fields, is a former Royal Marine turned classical scholar and now full-time military historian and tour guide. Among his many previous works are Roman Conquests: North Africa (2010), The Spartan Way (2012) and AD69: Armies, Emperors and Anarchy (forthcoming 2013), all published by Pen & Sword.